Home featured Do you need quality branding services in record time? 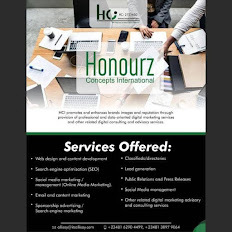 Do you need quality branding services in record time? Impressions Global Strategies Limited is the go to brand. For corporate branding, digital sign post, letter heads, logos, newsletters, brochures, booklets, sales sheets, invitation cards, full color banner and much more. Their services are integrated with friendly practices.